People of the same trade seldom meet together, even for merriment and diversion, but the conversation ends in a conspiracy against the public. Will Europe Regulate Over the Top Services on the Mobile Internet? At Mobile World Congress in Barcelona last month, I was surprised that nobody had access to 4G mobile Internet services. How could Barcelona, the second largest city in Spain and host to the “world’s premier mobile industry event,” lack access to 4G? In the opening day keynote session, Vittorio Colao, Vodafone’s CEO, said Europe has only 6% of the world’s LTE connections, and Telefónica’s CEO, César Alierta, said only 17% of European mobile subscribers have smartphones. European mobile operators agreed they are lagging the world in 4G deployment and penetration due to existing price regulations that discourage new infrastructure investments. When Jerry and I started WCITLeaks, we didn’t know if our idea would gain traction. But it did. We made dozens of WCIT-related documents available to civil society and the general public—and in some cases, even to WCIT delegates themselves. We are happy to have played a constructive role, by fostering improved access to the information necessary for the media and global civil society to form opinions on such a vital issue as the future of the Internet. You can read my full retrospective account of WCITLeaks and the WCIT over at Ars Technica. But now it’s time to look beyond the WCIT. The WCIT revealed substantial international disagreement over the future direction of Internet governance, particularly on the issues of whether the ITU is an appropriate forum to resolve Internet issues and whether Internet companies such as Google and Twitter should be subject to the provisions of ITU treaties. This disagreement led to a split in which 55 countries opted not to sign the revised ITRs, the treaty under negotiation. Would you pay good money for accurate predictions about important events, such as election results or military campaigns? Not if the U.S. Commodity Futures Trading Commission (CFTC) has its way. It recently took enforcement action against overseas prediction markets run by InTrade and TEN. The alleged offense? Allowing Americans to trade on claims about future events. The blunt version: If you want to put your money where your mouth is, the CFTC wants to shut you up. A prediction market allows its participants to buy and sell claims payable upon the occurrence of some future event, such as an election or Supreme Court opinion. Because they align incentives with accuracy and tap the wisdom of crowds, prediction markets offer useful information about future events. InTrade, for instance, accurately called the recent U.S. presidential vote in all but one state. As far as the CFTC is concerned, people buying and selling claims about political futures deserve the same treatment as people buying and selling claims about pork futures: Heavy regulations, enforcement actions, and bans. Co-authors Josh Blackman, Miriam A. Cherry, and I described in this recent op-ed why the CFTC’s animosity to prediction markets threatens the First Amendment. The CFTC has already managed to scare would-be entrepreneurs away from trying to run real-money prediction markets in the U.S. Now it threatens overseas markets. With luck, the Internet will render the CFTC’s censorship futile, saving the marketplace in ideas from the politics of ignorance. Second, real-money public prediction markets should make clear that they fall outside the CFTC’s jurisdiction by deploying notices, setting up independent contractor relations with traders, and dealing in negotiable conditional notes. For details, see these papers starting with this one. 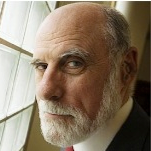 Vinton Cerf, one of the “fathers of the internet,” discusses what he sees as one of the greatest threats to the internet—the encroachment of the United Nations’ International Telecommunications Union (ITU) into the internet realm. ITU member states will meet this December in Dubai to update international telecommunications regulations and consider proposals to regulate the net. Cerf argues that, as the face of telecommunications is changing, the ITU is attempting to justify its continued existence by expanding its mandate to include the internet. Cerf says that the business model of the internet is fundamentally different from that of traditional telecommunications, and as a result, the ITU’s regulatory model will not work. In place of top-down ITU regulation, Cerf suggests that open multi-stakeholder processes and bilateral agreements may be a better solutions to the challenges of governance on the internet. Today, Jerry and I are pleased to announce a major update to WCITLeaks.org, our project to bring transparency to the ITU’s World Conference on International Telecommunications (WCIT, pronounced wicket). If you haven’t been following along, WCIT is an upcoming treaty conference to update the International Telecommunication Regulations (ITRs), which currently govern some parts of the international telephone system, as well as other antiquated communication methods, like telegraphs. There has been a push from some ITU member states to bring some aspects of Internet policy into the ITRs for the first time. We started WCITLeaks.org to provide a public hosting platform for people with access to secret ITU documents. We think that if ITU member states want to discuss the future of the Internet, they need to do so on an open and transparent basis, not behind closed doors. Today, we’re taking our critique one step further. Input into the WCIT process has been dominated by member states and private industry. We believe it is important that civil society have its say as well. That is why we are launching a new section of the site devoted to policy analysis and advocacy resources. We want the public to have the very best information from a broad spectrum of civil society, not just whatever information most serves interests of the ITU, member states, and trade associations. Facebook has quietly launched a real-money online gambling application in the U.K., marking a major thrust of the social networking site into online gambling. The Financial Times is reporting that starting today, Facebook will offer users in the U.K. ages 18 and over online bingo and slots for cash prizes. Slate.com picked up the story this afternoon. “Gambling is very popular and well regulated in the U.K. For millions of bingo users it’s already a social experience [so] it makes sense [for us] to offer that as well,” Julien Codorniou, Facebook’s head of gaming for Europe, Middle East and Africa, told the Financial Times. It’s telling in and of itself that Facebook has a gaming chief for the EMEA region. The synergies of social media and gambling has been seriously discussed for several years, mostly in foreign venues, as the U.S. government until recently, has been hostile toward Internet gambling. However, the recent thaw on the part of the Department of Justice, seen most recently in its settlement (don’t-call-it-an-exoneration) with PokerStars, plus state action toward legalization in in states such as Nevada and Delaware, point to eventual legalization of Internet gambling in the U.S.
Today is a a big day for WCIT: Ambassador Kramer gave a major address on the US position and the Bono Mack resolution is up for a vote in the House. But don’t overlook this Portuguese language interview with ITU Secretary-General Hamadoun Touré. In the interview, Secretary-General Touré says that we need $800 billion of telecom infrastructure investment over the next five years. He adds that this money is going to have to come from the private sector, and that the role of government is to adopt dynamic regulatory policies so that the investment will be forthcoming. It seems to me that if we want dynamism in our telecom sector, then we should have a free market in telecom services, unencumbered by…outdated international regulatory agencies such as the ITU. The ITU has often insisted that it has no policy agenda of its own, that it is merely a neutral arbiter between member states. But in the interview, Secretary-General Touré calls the ETNO proposal “welcome,” categorically rejects Internet access at different speeds, and spoke in favor of global cooperation to prevent cyberwar. These are policy statements, so it seems clear that the ITU is indeed pursuing an agenda. And when the interviewer asks if Dr. Touré sees any risks associated with greater state involvement in telecom, he replies no. If you’re following WCIT, the full interview is worth a read, through Google Translate if necessary. Hat tip goes to the Internet Society’s Scoop page for WCIT. – Secretary-General Touré indeed made his recommendation to the Council. – The Council responded by releasing a single document, TD-64, which has already been on WCITLeaks for weeks. Indeed, it was the first document we posted. As I [told Talking Points Memo](http://idealab.talkingpointsmemo.com/2012/07/un-telecom-agency-releases-secret-treaty-critics-unswayed.php), I am not impressed by the ITU’s landmark decision. In fact, I am more convinced than ever that the ITU is too out of touch to be trusted with any role in Internet governance. If you would like to see first-hand how transparent the ITU is, you can [visit its site and download TD-64](http://www.itu.int/en/wcit-12/Pages/public.aspx), the “draft of the future ITRs.” Then go to [WCITLeaks.org](http://wcitleaks.org/) to read all the other documents it wants to keep from you.